Cheryl Lynn Merritt, age 61, of Greenville, passed away unexpectedly on Sunday, September 9, 2018 at Spectrum Health-ButterworthHospital in Grand Rapids. The daughter of Alfred & Julia (Lintz) Hansen, she was born on September 5, 1957 in Greenville. Cheryl was extremely proud to work as a paraprofessional at Greenville High School and last year was honored with a "Make A Difference" award from the schools. 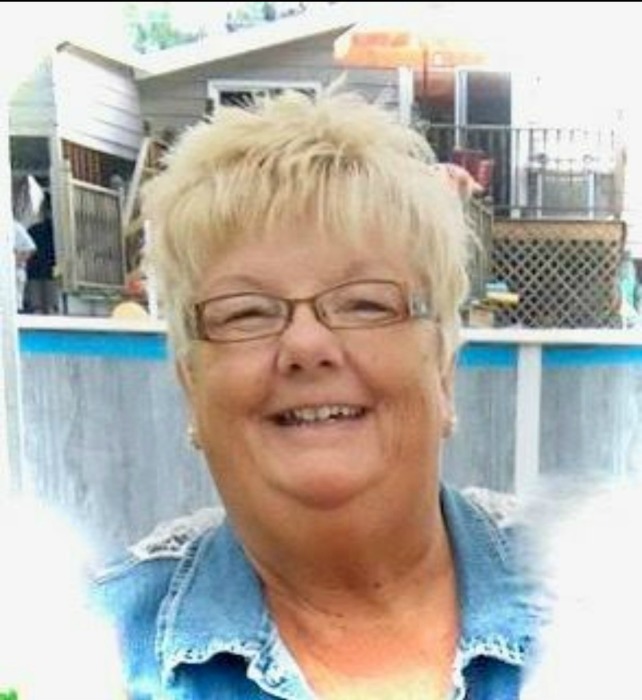 She enjoyed league bowling, camping, yard sales, and "Keno Nights" with her sisters, but she was happiest spending time with her grandchildren and great-grandchildren. She was a genuine fun spirit and will long be remembered as the life of the party. She was preceded in death by her father, Alfred Hansen; and her step-father, Dale Hawes. Surviving are her husband, Kim Merritt of Greenville; her children, Mike & Angie Pretzel, Laura & Jim Hill, all of Lakeview, and Trever & Amanda Merritt of Allendale; her grandchildren, Tre Pretzel & Andrea Henry, Ashlee Pretzel & Todd Barton, Chelsea & Andrew Hall, Alleigh Lint, Jaidyn Hill, Braxton Hill, Kyona Hall, Kaylee Twork, Taylor Twork, Carter Merritt, and Chase Merritt; four great-grandchildren (with the fifth on the way); her mother, Julia Hawes of Greenville; three sisters, Karen & Biff Harris of Morley, Brenda & Ron Tipton, Michelle & Jeff Bannen, all of Greenville; several aunts and uncles; and many very special nieces, nephews, and cousins. Visitation with the family is from 5-8 p.m. on Thursday at Christiansen Cremation & Funeral Care, 511 S. Franklin Street, Greenville, where memorial services will be held at 11:00 a.m. on Friday with her cousin, Rev. Jim Maness, officiating. Burial will take place privately at Evergreen Township Cemetery near Sheridan.